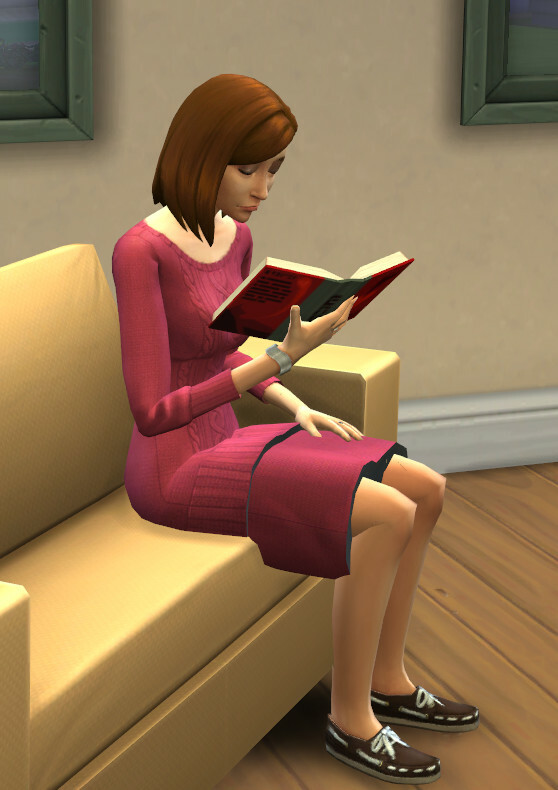 I really like the game's cute little sweater dress, but thought some sims might prefer something a little less bare. Plus I needed to test my mesh handling tools to see if I could get a usable CAS item. So here is a Frankensteined mesh combining the game sweater dress with the pencil skirt. The two meshes have been trimmed, tweaked slightly, and combined. Colors are: Maroon, Light Blue, Gray, Sea Green, Pink, Slate Blue, and Ivory. Usable by females teen to elder. Works with all morphs and sliders. I couldn't have done this without s4pe and s4pi.